On this practical course you will be introduced to the skill of creating your own blocks and dress pattern from scratch - and see it realised in a finished garment. It is ideal if you are already familiar with sewing and using commercial patterns and would like to start developing your own garment design without the reliance on commercial patterns. 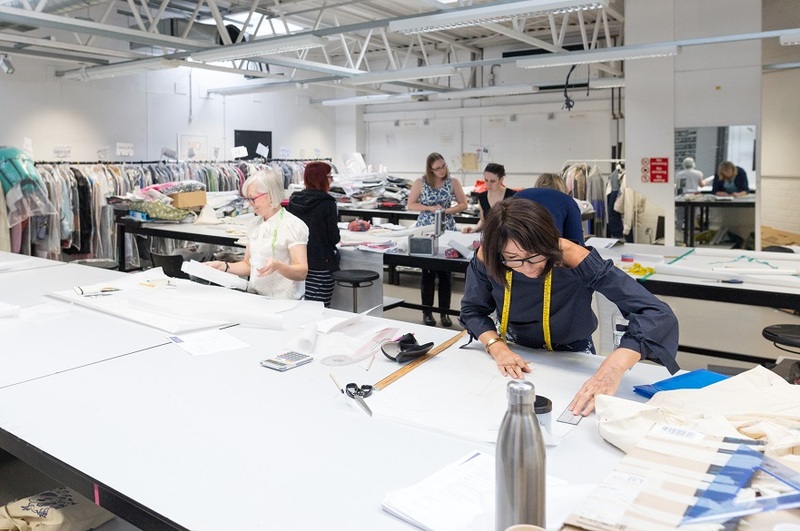 Whether you're already working in the industry, hoping to pursue academic study or are a home dressmaker seeking to improve your skillset, this course will help you develop practical skills in women’s wear garment design and construction. By the end of the course you'll be able to create your own bespoke patterns and understand how to alter commercial patterns. You'll have developed a range of professional skills and enhanced your portfolio to widen future learning or employment opportunities. Tutor Profile: Leann Marshall has had a varied career as a costumer for film and theatre, a couture retailer and now runs a bespoke bridal wear design service, alongside prom wear, alterations and occasional interior styling and design projects. Additional to working in the garment industry, Leann has had much experience in teaching others in the skills of sewing and garment construction. look at how to adapt a commercial pattern. The fee for this course is £595.